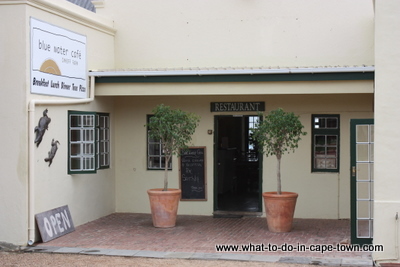 The original buildings of the Imhoff Farm, built in 1743, have been beautifully restored. Today these buildings house restaurants, interesting shops and art studios. 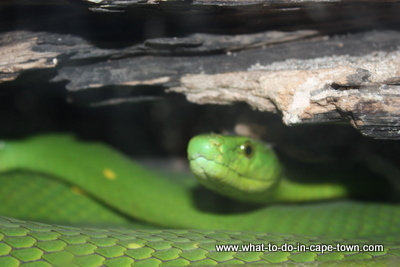 The snake park is a reptile sanctuary and rehabilitation centre. Residents well worth observing include the awesome 3.5 meter long yellow anaconda, Californian King snake (which feeds on venomous rattle snakes), Mozambique spitting cobra, Burmese python, yellow rat snakes, and the African rock python (reputed to be the most intelligent snake in Africa). 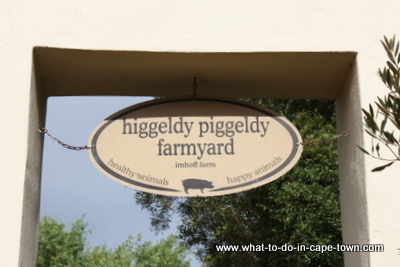 What makes Higgeldy Piggeldy Farmyard so special is that the animals roam (almost!) freely. Your kids may enter the larger enclosures and pet the rescued pony, Piccadilly, or stroke some of his furry and feathered friends. Mr Ginger (the friendliest of all the rabbits) is particularly fond of attention – especially if accompanied by something to eat. 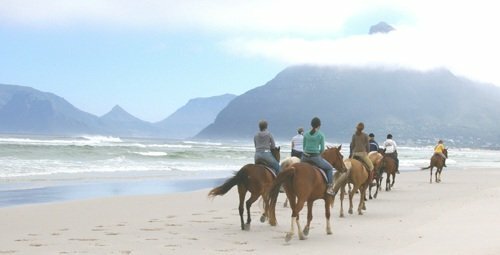 Imhoff Equestrian Centre offers a 2 hour guided beach ride on Noordhoek Beach, made memorable by plentiful sightings of bird life, whales, dolphins, otters, seals and the Kakapo shipwreck. 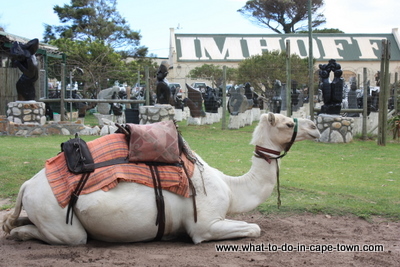 Imhoff Farm may be the only destination south of Cape Town where you have the opportunity to ride one of Vered’s three beloved camels. If you think camel riding is like riding a horse, you really should try it. Just getting off the ground is an experience. And once those two front legs finally rise after you’ve been tipped forward by the rear ascent, you’re two meters up and in for a jerky saunter. The old farmstead houses Blue Water Cafe, a popular restaurant and pizzeria, with great views over Noordhoek Beach. In the Old Barn, opposite the restaurant, there's a delightful Free Range Coffee Shop offering breakfasts, freshly prepared salads, open sandwiches, and homemade quiches. Best described as serving fresh "new Cape-style" seafood, The Pickled Fish is justifiably proud of its signature Cape recipes (try the tangy Homemade Malay Pickled Fish with Farm Seed Bread) and dedication to quality and freshness. 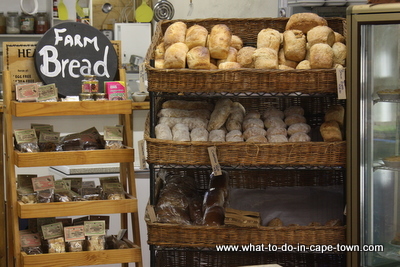 Imhoff’s Free Range Farm Shop takes you back to “the good old days” when organic was a given and pantries were packed with wholesome, fresh foods from the local farm. 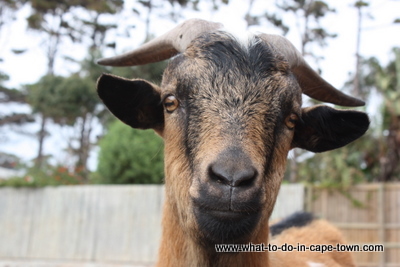 Return from Imhoff Farm page to Homepage.